Artist rendition of lice treatment process. Any resemblance to actual persons, living or dead is not intended, and purely coincidental. 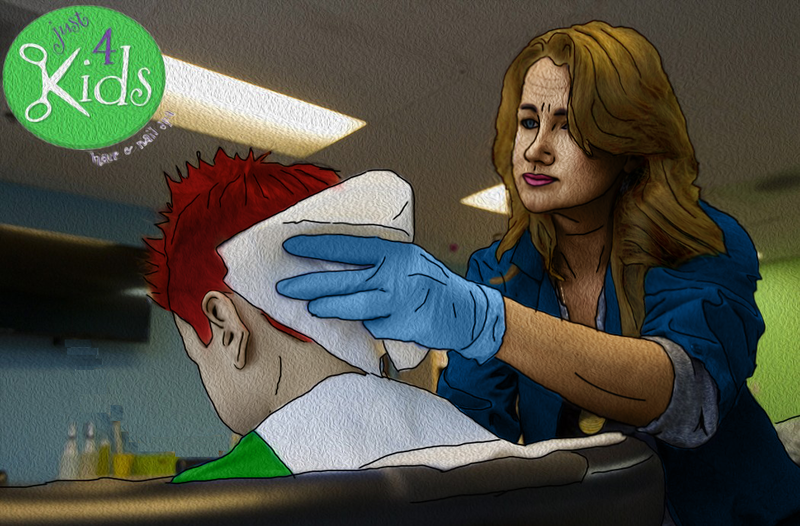 Just 4 Kids Salon’s mission is clear – We eradicate lice. Throughout our head lice treatment Hoboken and lice removal process, we help your family through a very difficult and frustrating time in your lives. Further, we consult and guide you through each and every step. From initial detection through certification of removal. We are already a trusted source in the community. We are kids’ hair experts! Further, we are North Jersey’s number one professional offsite head lice treatment and lice removal service. 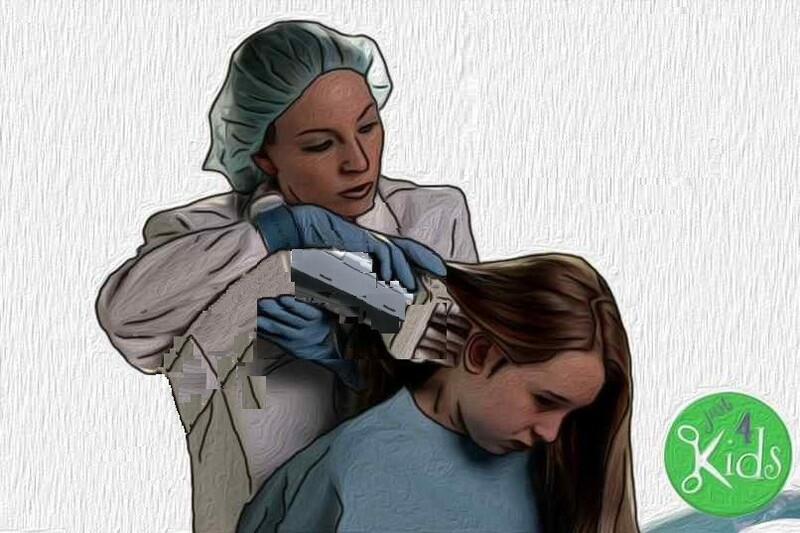 Artist rendition of lice treatment process. Any resemblance to actual persons, living or dead is purely coincidental. 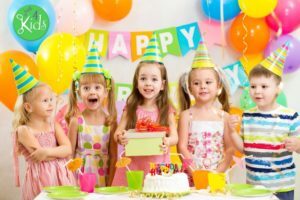 Why Our Lice Treatment and Removal System is Simply Better Than the Rest – Just 4 Kids are New Jersey’s most trusted experts for safely and effectively removing head lice. Further, we follow a proven, offsite, and kid-friendly process. Our system starts with highly skilled lice treatment and removal technicians. Next, an effective “tool belt” of specialized combs, all-natural creams, shampoos and rinses. Finally, Safe and speedy eradication of nits and lice. This allows your child to get back to school quickly. Furthermore, it allows you to get back to what you do best – running your family! Lice Inspection & Detection – Just 4 Kids professional technicians manually screen the scalp and hair strands for both lice and nits. Further, it is highly recommended your entire family come in for a lice inspection. This is because multiple infestations within a family are common. “Splitting Hairs” – Upon a positive identification of nits and lice, our K9 team gets started. We begin with an intensive nit-picking process. Each and every parasite is manually removed during this process. Next, via specialized combs and rinses – Our Just 4 Kids “K9 Team” safely and effectively removes all nits and lice bugs. Eradication Treatment – The third step of the system is critical. It consists of our lice treatment via the application of non-toxic products. 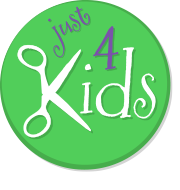 Just 4 Kids utilizes a special all-natural and non-toxic shampoo. The special shampoo is designed to eradicate lice. Simply put, it damages the central nervous system of the bugs. Further, it loosens the glue that fastens the egg to the hair. Follow-up Inspection & Certification – We go the extra mile! This is to ensure you gain the peace of mind you deserve as a parent. 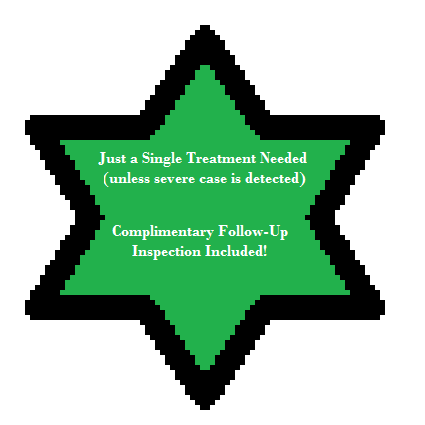 We do this by scheduling a follow-up inspection 2-5 days after the initial treatment. After the lice eradication has been confirmed, call us to come in. We will provide a special (and well-deserved) Certificate of Bravery to your little one. Call our 24/7 lice hotline today at (888) 604-2354 to schedule an offsite lice treatment and removal appointment. Prices include a complimentary bottle of our all-natural lice treatment and removal formula. Parents! If you have questions or concerns, give us a call directly and ask to speak with a lice removal specialist. Finally, call us today! YouTube Page – Do you and your child like to watch videos about kids haircuts, first haircuts and cartoons? Also, what about toys and video games? How about special haircut ceremonies like a baby’s Mundan? If so, our YouTube channel is probably for you! Furthermore – Click and subscribe to our channel! You can watch our great videos, and get special offers and deals as well! Google Plus Page – Google Plus is a great new social media platform incorporating a social layer across various Google services. These include Picasa photo storage and sharing. Also, GMail, shared calendars and YouTube. As such, Be sure to follow us on it! Feel free to contribute to our content! Linked In Page – Linked In is our professional page where we do a good bit of recruiting. As such, we are always looking for the best talent in the market! Also, our Linked In page shows some good insight into our company culture! Further, we provide other valuable information about who we are as an organization. Please! Link us today! Instagram Page – Instagram is a great platform. Here you can get interesting and local flair content from us! This includes incredible local photography. Further, we highlight the very best that Hoboken and our salon has to offer. In addition, we provide interesting weather updates and great photos of haircuts! Finally, we always include great shots of our kids birthday parties. Parents! So, what are you waiting for? Be sure to follow us on it! Yelp! Page – Yelp! is the ultimate independent review site on the web. Further, we strive to maintain excellence in this area. Finally, browse honest reviews of our business here. As such, check us out and share your experience with us! 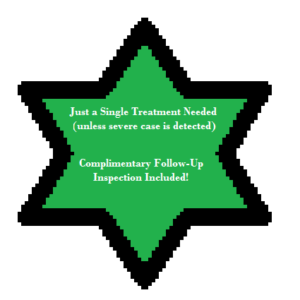 Thanks for checking out our head lice treatment Hoboken and Lice Removal page. Also, thanks for following us on our social media platforms! Call Today at (201) 653-KUTS (5887) to Book an Appointment. Further, book an appointment on our website by clicking “Book an Appointment”.